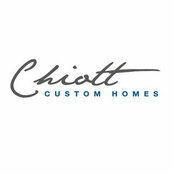 Chiott Custom Homes is a great company to work with! Jonathan along with with his entire team are always professional and their work quality is excellent. Highly recommend! 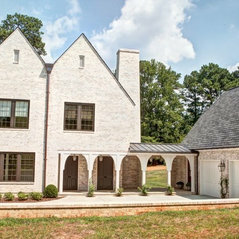 We have worked with Chiott Homes for many years as one of their preferred vendors. They excel in professionalism and customer service. We enjoy working with them and would recommend them highly. Commented: Wood flooringHey there! This is a white oak floor with a custom Rubio Monocoat finish. Commented: What is the color of the white paint please?Hey there! Thank you for asking about that. This is actually a custom color that we mixed with the painter. Commented: Can you tell me what wood/stain was used on this wass? so beautiful!Thank you for asking! That is sapele wood with a custom stain finish. Commented: What is your source for pivot mirrors?Thank you for asking about that! Our client actually sourced these mirrors with the help of a designer and we're unable to release that info. Commented: /Where/how is this rail manufacturered?Thank you for asking about that! 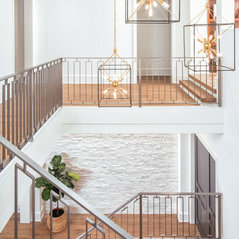 This rail was custom made for this home.